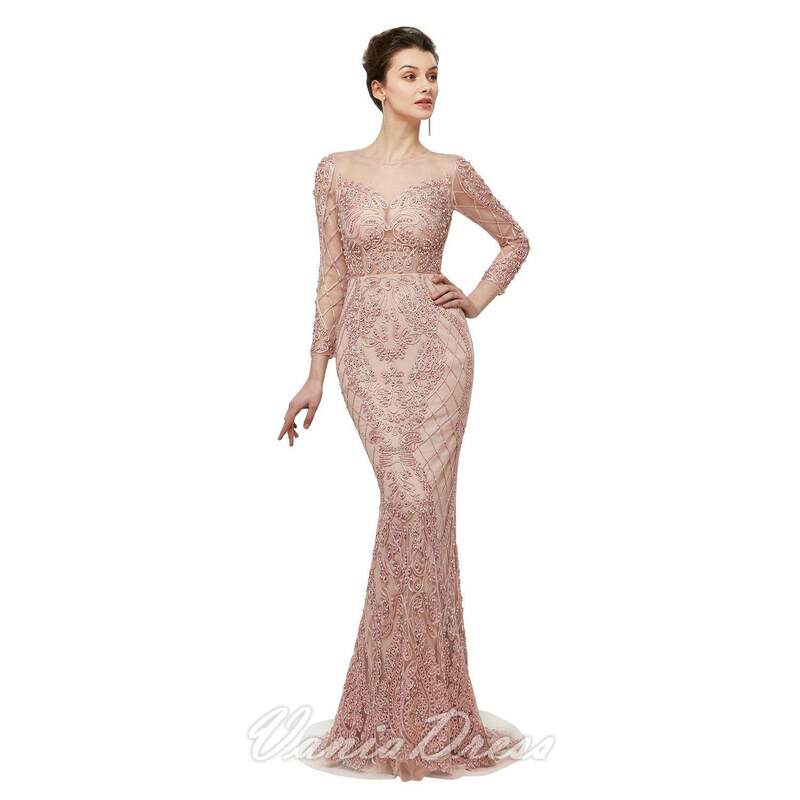 Long Formal Gown was decorated with heavy beads, color in blush pink. 3/4 sleeves. Illusion sheer neck, mermaid silhouette. Shows in blush pink color.